Piping by Kevin Ginnings Plumbing Service Inc. If your pipes aren’t working, your home isn’t working. At Kevin Ginnings Plumbing Service Inc., we firmly believe that no one should be without working piping systems. This is why we make ourselves available 24/7. Don’t hesitate to call (816) 832-4322 the moment your pipes start acting up. Since 1985, we at Kevin Ginnings Plumbing Service Inc. have had plenty of time to learn all the ins and outs of piping systems. Do you have brown tap water? This could be because your pipes are rusted. Rusty pipes can give your water an unpleasant taste and make you want to drink less water. On the other hand, if you’ve noticed a weaker water flow than usual, you might have several small pinhole leaks in your pipes. If you wait too long to fix this, it will lead to costly repairs. 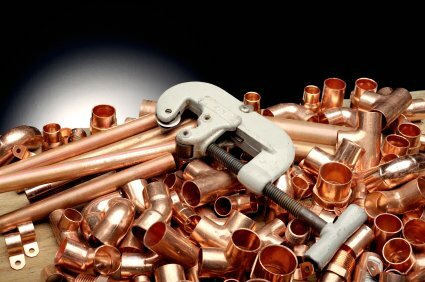 Kevin Ginnings Plumbing Service Inc. can prevent your pipes from freezing by insulating them. There are other reasons to insulate, however. Even if you don’t have to deal with a brutal winter, insulating your pipes is still a good idea. It can help you save money by keeping the water warm as it goes through the pipes. This takes some of the pressure off your water heater and lowers your energy bills, all while helping to protect the environment. If you let your piping problems escalate, you’re setting yourself up for a lot of trouble in the long run. Don’t wait any longer. Get the help of a fast, knowledgeable, trusted company that’s been in business since 1985. Call Kevin Ginnings Plumbing Service Inc. at (816) 832-4322 today!